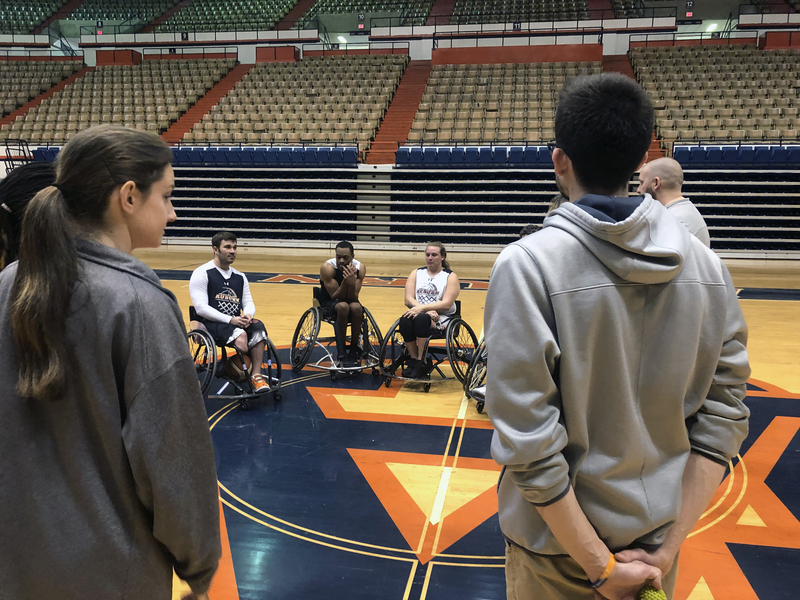 Smiles grow from ear to ear, cheers become loud and clear and murmurs of trash talk circulates throughout Beard-Eaves-Memorial Coliseum as Auburn Wheelchair Basketball head coach Robb Taylor commands his players to set up for five-on-five. Among those players is Auburn sophomore accounting major Mackenzie “Mack” Johnson. A native of Mauldin, S.C., Johnson is entering his second year with the team. Johnson is your normal 21-year-old. In his spare time — although he admits he doesn’t get much of it — Johnson likes to listen to music, hangout with his friends or explore outside. However, NBA Hall of Famer Bill Walton claims that, despite the university’s history of great athletes, it is Johnson who wears the crown as the best athlete at Auburn. Walton’s praise of Johnson came during a live broadcast of an Auburn basketball game that Walton was commentating. The basketball legend’s kind words stuck with Johnson long after that game. Johnson works on sharpening his shooting skills during a recent practice at Auburn. (Photo courtesy The Auburn Villager). On Nov. 5, 2016, Johnson and group of friends were taking a trip to Gatlinburg, Tenn., when tragedy struck. Johnson, then a sophomore at Wofford University, fell off a three-story balcony fracturing his T-12 vertebrae, instantly paralyzing him from the waist down. Subsequently airlifted to the University of Tennessee where he spent 10 days doing physical therapy. The next stop for Johnson was at the Shepherd Center in Atlanta for three and a half months of rehabilitation. He then finally stopped closer to home at Roger C. Peace Rehabilitation Hospital in South Carolina. 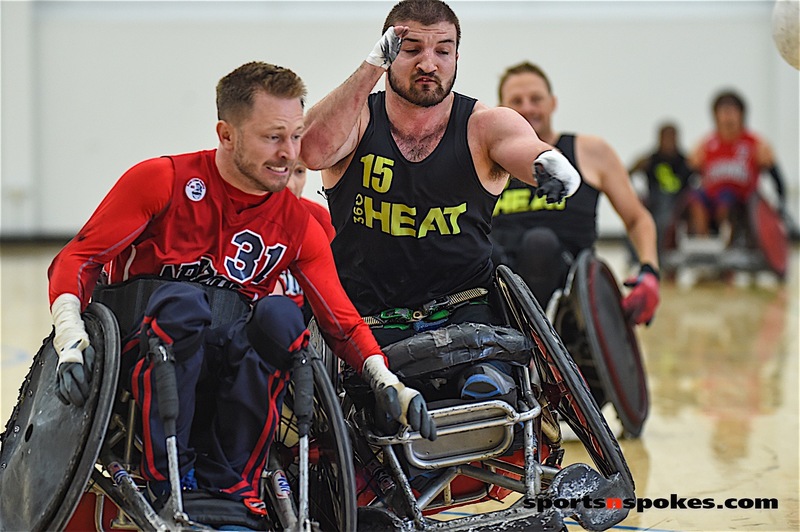 Throughout the process, Johnson was determined to not let his injury get in the way of what he loved — sports. Since his injury, Johnson has worked tirelessly to create a new mindset. That is what got him through the intense physical therapy and recovery. Johnson was determined to make the best of his situation. Luckily for him, an opportunity to do just that came metaphorically knocking on the door. “Around that spring, I saw a Facebook post about the Auburn Wheelchair Basketball Camp, and I was just sitting there. I had nothing to do. I was sitting at home a lot, and I thought, ‘It’s $50, it’ll get me out of the house, maybe I’ll see somebody cool — whatever.’,” Johnson said. The team is led by Taylor, a veteran coach who is entering his third year with the Tigers program. As a relatively new program, the team has struggled to keep up with stronger competition. This inexperience is most evident when looking at the team’s biggest rival, Alabama—a program that has won seven of the last 10 national championships in the sport. While the Tigers may be struggling now, they are undoubtedly a program on the rise, a rise that Johnson is a big part of. After the two-day camp, a month prior to registration, coach Taylor offered Johnson a spot on the team. “I was planning on going back to Wofford, but I ended up coming here and was like, ‘Hey, let’s try something new. If I don’t like it, I can always go back home.’ But ever since I’ve packed my bags and left, I haven’t looked back and I love it,” he said. As the five-on-five scrimmage continues at dusty, word-down Beard-Eaves Coliseum, Johnson’s passion for the game undoubtedly shines through. 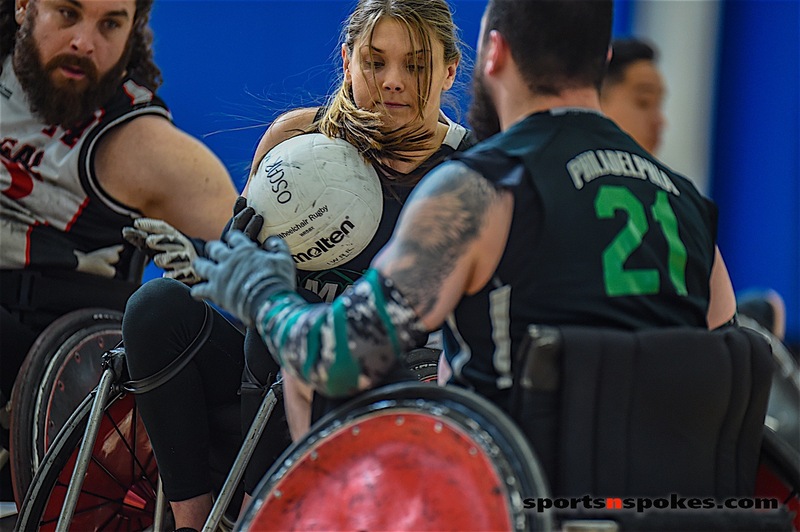 The game is tough and arguably more physical than its non-wheelchair counterpart. The players are constantly communicating and for good measure, a healthy dose of expletives and trash talk are often thrown in the mix. The sight is both chaotic and loud but at the same time, calculated and poetic. 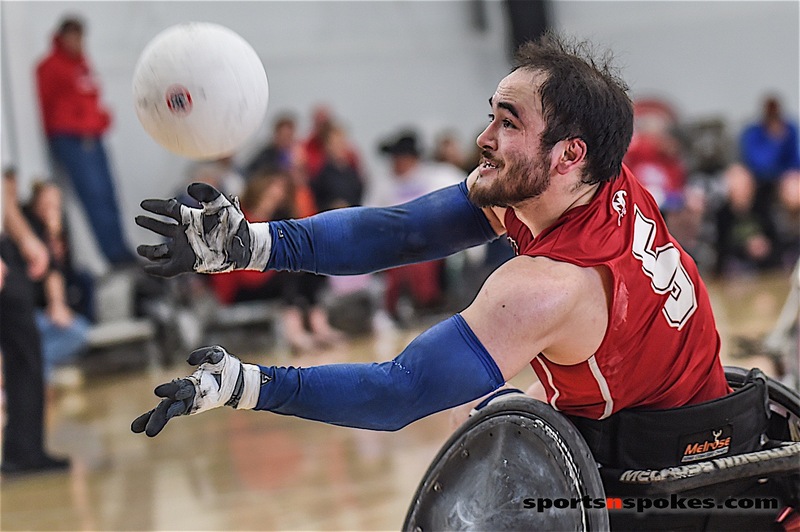 As the specially designed wheelchairs elegantly glide across the bright, shiny Beard-Eaves floor like butter on morning toast, Johnson gets in a tangle with another player resulting in Johnson’s wheelchair tipping over sideways. Without much thought or chagrin from those around him, he effortlessly picks himself back up and gets back on defense. 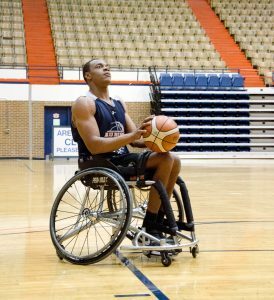 Outside of Auburn, Johnson does a multitude of things to inspire and help others in his situation. Johnson is part of a peer-support program at the University of Tennessee and the Shepherd Center, where he has the opportunity to talk to those who are brand new to similar injuries. “I’ve helped some guys by just being there to talk, if they have any questions — it’s difficult and definitely a new situation,” Johnson said. 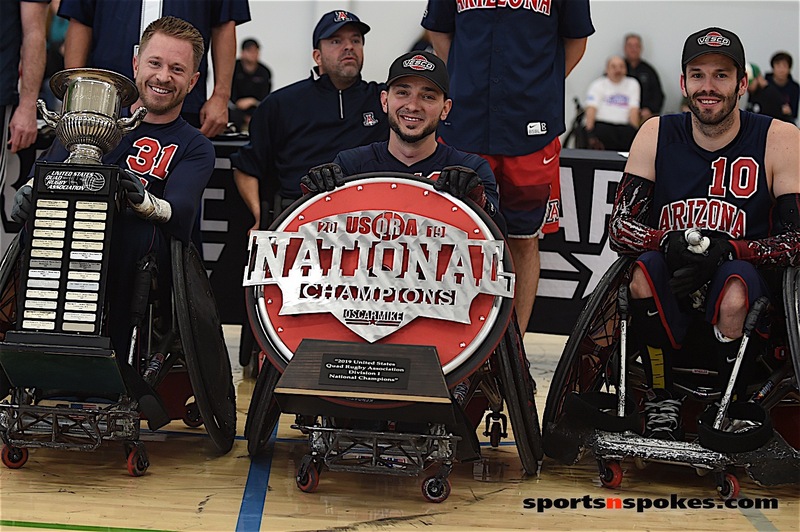 Other than the peer support program and thanks to the advice of Bill Walton, Johnson works with the Challenged Athlete Foundation, (CAF), a national program with the goal of helping those with physical challenges pursue active lifestyles through fitness and athletics. “Mack and Bill have an incredible relationship. It’s a great relationship that’s built on trust,” Taylor said. Bill thinks very highly of Mack and he realizes that Mack is more than just a student and an athlete. Back at Beard-Eaves, Johnson misses a shot. Noticeably upset with the play, a teammate quickly attempts to get Mack to focus again. “Mack, feel sorry for yourself later,” he says. Down seven with just over three minutes to go, there’s plenty of time to mount a comeback. A football player in high school, Johnson is a natural competitor. Taylor said that competitive fire became initially apparent during Johnson’s first season with the team. Facing off against a national-title-contending team in Alabama at a tournament in Tuscaloosa, Taylor put Johnson in a tough situation. The team gathers during a recent practice at Auburn University. (Photo by Cole McCauley). “I remember putting Mack in the game, and I was like, ‘Hey, listen, you’re going to have to go guard the guy from Australia who’s 6’9”. Mack, you got to go out there and just try to keep a chair on him.’ and he did a great job. He didn’t back down,” Taylor said. Not only does Johnson receive praise from the coaching staff, his teammates hold a high opinion toward the sophomore. “He brings great energy. He’s a motivator. In the time that you need motivation, he’s there on and off the court,” Ranley Clayton, a former roommate of Johnson’s. “If you’ve got an issue, you can talk to him. He’ll give you advice, or he’ll find someone who could help you — just a good guy all around. Despite the lofty title bestowed upon him by a basketball legend, Johnson is just a normal college student albeit one with a big heart and passion for sports. 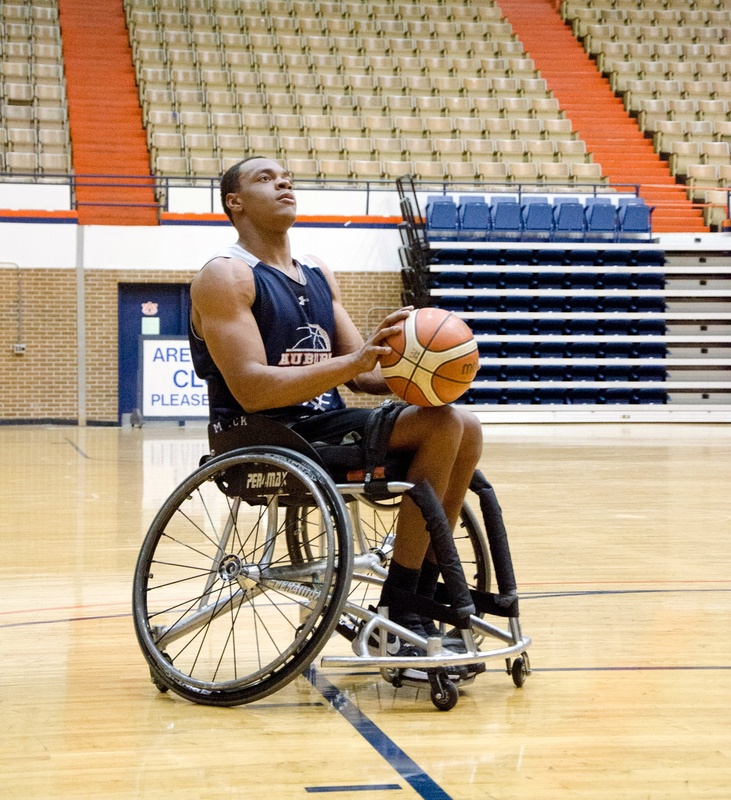 Through his work helping others and his strong work ethic on and off the court, Johnson has prevented his injury from defining him and as a result, has become the best athlete at Auburn. 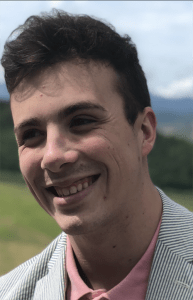 About the Author – Cole McCauley is a senior journalism student at Auburn University with a minor in Italian. He has written for the Auburn student newspaper (The Plainsman) and is currently an intern at The Auburn Villager. He plans on graduating Auburn this Spring and has accepted an eight month teaching internship in Lombardy, Italy. What a great story – an inspiration for all of us! Great article very inspiring it’s individual like him that makes people look past the wheelchair. To see we are just like anybody else we still have the same dreams goals and desires as any one. Many times we have to work twice as hard to prove we can do the same job even when they put barriers in our way. But those determined not to change give in or stay down has made the world see us as equals and give us the respect we all deserve since my accident in 1988 that left me about a T4 they have allot of new equipment to level the playing field.